With our head office in Devon the crews often have the pleasure of working in beautiful places. Lynton and Lynmouth in North Devon was no exception and definitely fell into this category. I have checked with my Car Park Warden who reports all is good and they find it less difficult to enforce the regulations with the proper clear signage in place. Working directly for the local authority, we were asked to provide a solution for parking enforcement issues occuring regularly in this busy tourist destination. The authority were experiencing problems with people parking in the wrong areas and then because it was difficult to see the old lines and to clarify the parking areas, they were also having difficulties enforcing the rules. 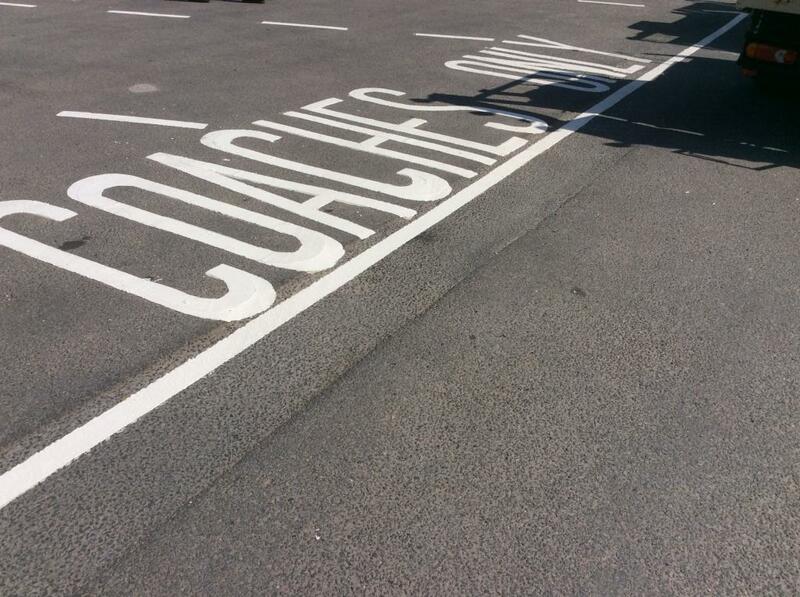 This was completed after using HCA (Hot Compressed Air) to burn off the markings with a lance and then the lettering and lines were added and reinstated with white thermoplastic paint. 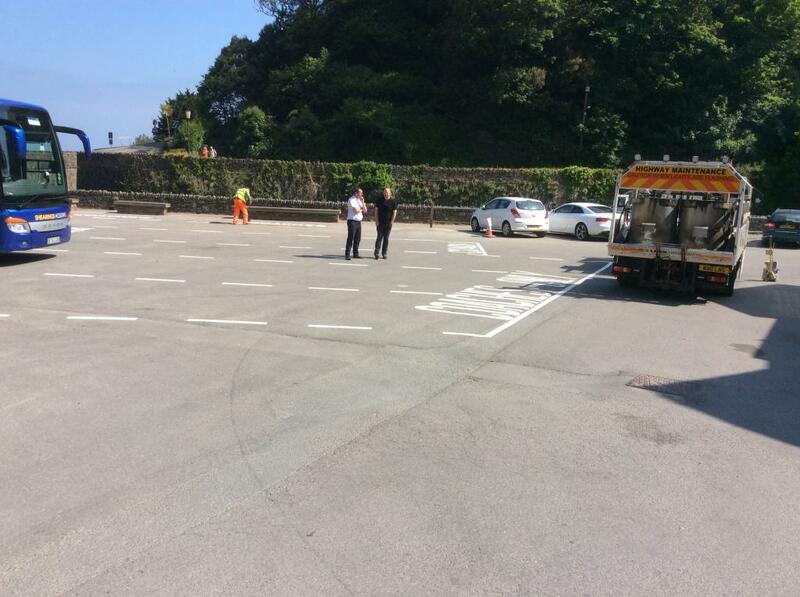 As you can see from the photos, the correct parking areas are now much clearer. Work carried out August 2018 in Lynton and Lynmouth. Contact us for friendly local advice, a quote or site visit. Schools Playground Marking in Bovey Tracey - Our Competition Winner! In Summer 2018, LMS Highways ran a competition for local schools to win playground line marking. 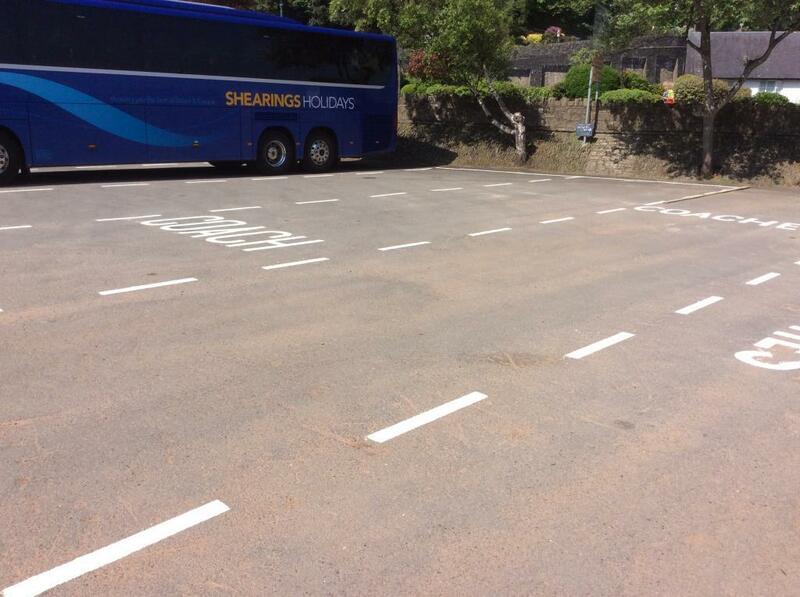 Working directly for a local health authority, a line marking team have been working in North Devon to provide some new line markings for a car park. Working directly for Bideford District Council, one of our South Devon crews headed to North Devon to handle a variety of line marking requirements. Working for Merriott Parish Council, a Newton Abbot based crew headed to Somerset to perform some car park line marking on a newly resurfaced area. A Newton Abbot based crew visited a popular local holiday park on a crisp February morning to perform a variety of line marking tasks. 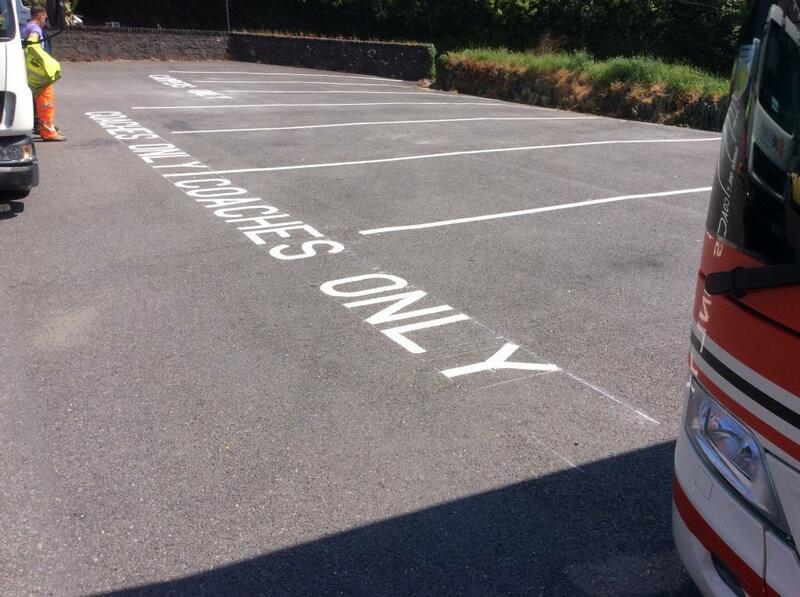 A Newton Abbot based car park marking team recently made the short trip to Paignton in South Devon. The team recently worked on behalf of a major contractor to provide line markings for a hospice in Winsley. Dorothy House, near Bath and Bradford-on-Avon, offers palliative care to patients and support for their families. Working on behalf of a main contractor, one of our lining crews were recently sent to Swindon to refresh the line markings in a delivery yard for a major UK department store. Our team recently visited Wincanton Primary School to give them a fun and fresh new playground. We sent a crew from our Newton Abbot depot to the Commando Forces offices in Plymouth recently to complete some car park marking work. © 2019 Line Marking Services. A trading name of LMS Highways Ltd. Registered head office is based at Unit 4 International House, Battle Road, Heathfield, Newton Abbot TQ12 6RY. Company registered in England, no. 1098038.